Experience the thrill of NFL football when you Finish at the 50 at the Colts 5K. All 5K and Fun Run participants will receive an exclusive Colts 5K t-shirt, commemorative medal and Preseason Game Ticket. 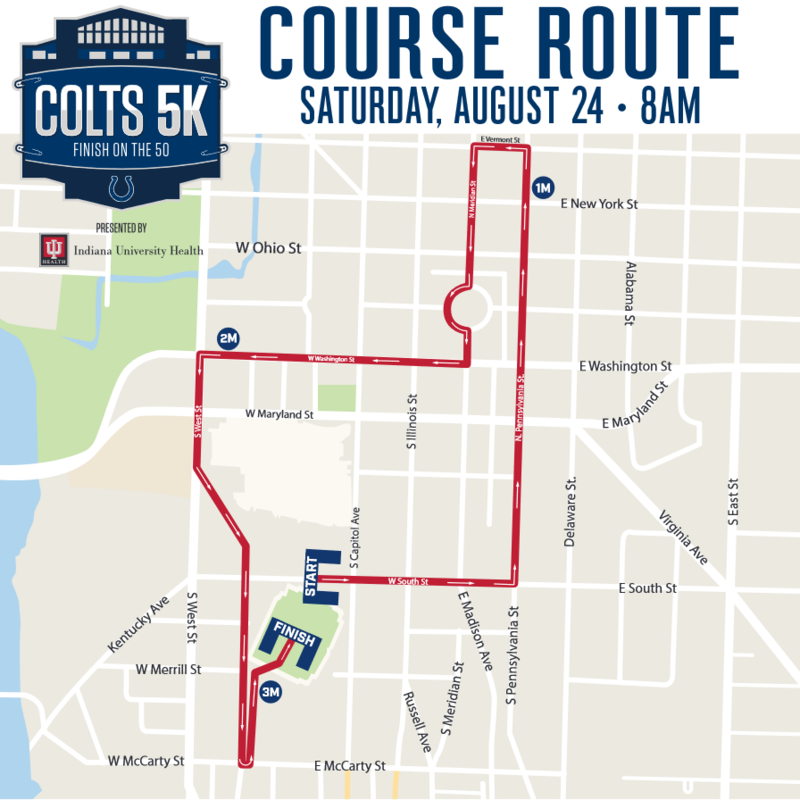 All Colts 5K and Colts Fun Run registrations (with the exception of specific registration codes) will include a Colts Preseason Game Ticket (August 24 vs Bears). All game tickets will be distributed as mobile tickets. Registrants will receive a link to their tickets within 21 days of race registration. Click here for more information and how to download your mobile ticket. Tickets will be seated based on registrations. To ensure your tickets are seated next to other participants, please register together. There will be an option on race day to exchange your tickets to be seated closer to other race registrants, but this is based on availability and not guaranteed. 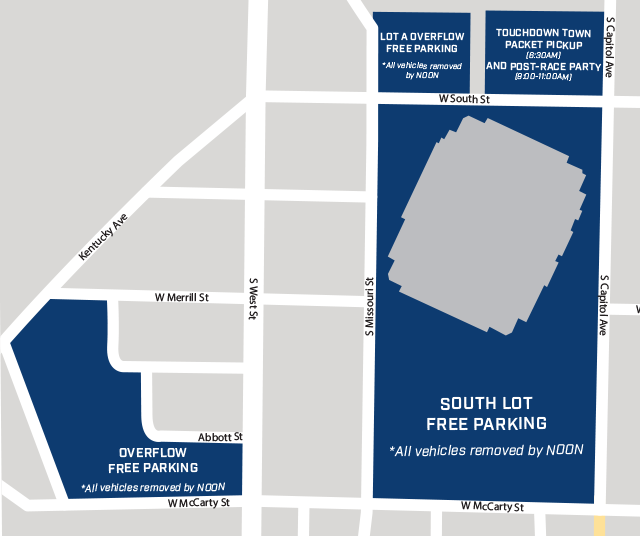 Parking is first come, first served in the South Lot at Lucas Oil Stadium. Participants can enter via Gates 6, 7 and 8 off of Capitol Avenue. Parking is limited. Participants are encouraged to arrive early. Click here to view an event parking map. Check www.colts5K.com following the race for photo links. 2016 Results – Click here! 2015 Results – Click here! 2014 Results – Click here! 2013 Results – Click here! If you have a question about your results or would like to make a correction, please click on “Question About Results” on the results page. Please note: We will accept results correction requests up to three weeks after the day of the event. After that time results are considered final and no changes will be made.